This tutorial introduces the basic interfacing of the Wiring hardware using the MIDI protocol. The brief for the tutorial will be to read simple values from the Wiring board using the MIDI protocol to Ableton Live http://www.ableton.com/. It assumes the Wiring software and Ableton Live are installed and the proper Wiring setup has been previously completed. For more Information on Wiring install check out the tutorials about Wiring installation and software setup. * digital input pin 8. 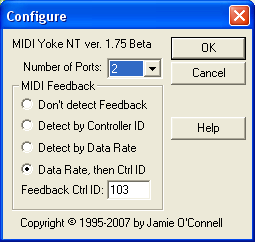 Download MIDI Yoke from MIDI-OX here. After installing MIDI Yoke, it recommended to go into Control Panel and change the port. You will need to reboot after changing the number of ports. Note: Apple has released a Java update the reintegrates native MIDI support into the Java. This means that as of Apple's Java 6 update, you will no longer require mmj.jar and libmmj.jnilib. Install Apple's Audio MIDI Setup (comes with your OS, in your Applications folder / Utilities) and mmj which can be downaloaded here. Copy mmj y libmmj.jnilib in /Library/Java/Extensions. 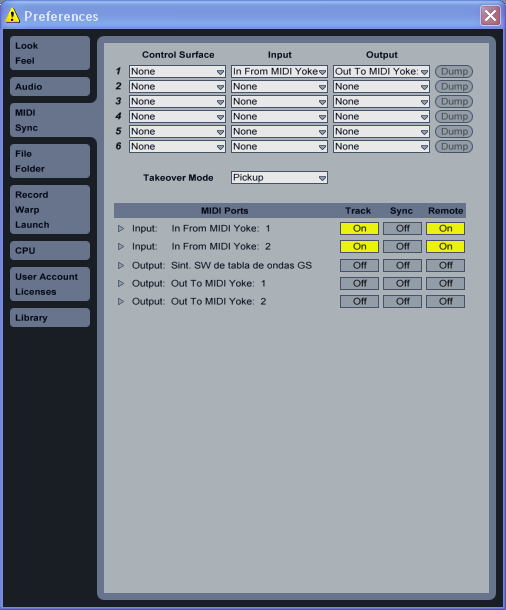 Run Audio MIDI Setup, then double click on the IAC Driver. Now in the IAC driver, click the "More Information" triangle if it is not showing already. In the lower left; double click the MIDI port name to edit it and click the + to add a new port. Click "Apply", and now you are done. You may quit the Audio MIDI Setup software, it does not need to be running for the SM to work. 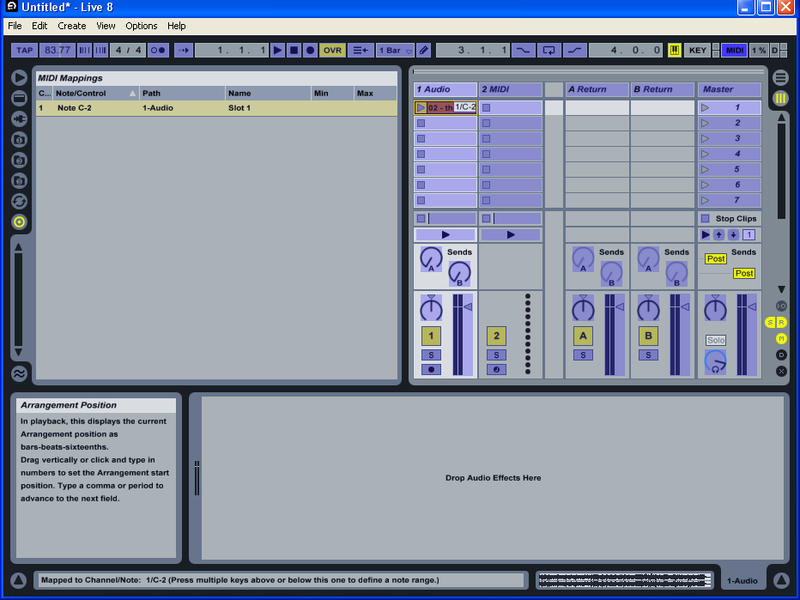 Run and setup Ableton Live. Open the prefences and go to the MIDI Sync tab. 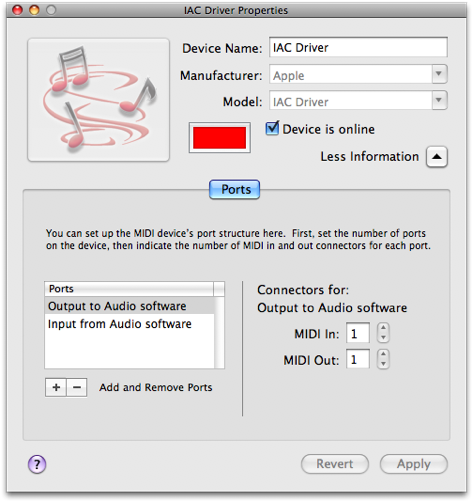 In Control Surface choose None, in Input choose In From MIDI Yoke: 1 for Windows or IAC Driver (Input from Audio Software) for Mac OS X and in output choose Out From MIDI Yoke: 1 for Windows or IAC Driver (Output to Audio Software) for Mac OS X. Next >> Interfacing the Wiring hardware using MIDI protocol using a Serial converter.